Essentially, quality is the standard of something as measured against other things of a similar kind and at Belview Eggs we take no short cuts in ensuring that each one of our eggs come out on top. We have a fully integrated quality system that ensures all our eggs are sourced, produced and packed to the same highest standard of quality and safety with full traceability. Our production and packing systems are operated to a high standard in all aspects of our activities including health and safety, quality, GMP and food safety regulations. We source eggs from Bord Bia approved suppliers only and are fully committed to the requirements of the Bord Bia Sustainable Egg Assurance Scheme. As an approved packing centre under Bord Bia, we carry out monthly farm audits on all of our producers to ensure all of our producer’s farms are Salmonella free, that the requirements of the Bord Bia SEAS for producers are being met and that animal welfare is fulfilled. 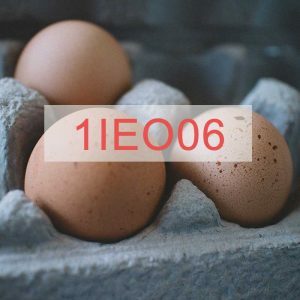 Our quality system consists of a combination of checks, criteria and factors that must be adhered to that go right back to the first step we take when sourcing our eggs. When the eggs from our producers arrive at our packing centre they are checked in and then loaded onto the grader and go through various quality checks. This is a process that detects defects in eggs such as cracks and meat spots, determining the good and bad eggs. The eggs roll as light passes through them so the entire egg is examined. The light makes the smallest cracks in the egg visible and allows dirt, stains and rough eggs to be identified. Defective eggs are detected and either downgraded as class B or rejected. All other eggs that pass the quality check are grade A eggs, the eggs that reach consumers. Each grade A egg is then weighed individually and packed accordingly. The size grade given to an egg is determined by its weight. The eggs are coded with food grade ink. Coding is an integral part of the over all quality system as details in the egg code enable traceability right back to the farm the eggs came from. Each producing house has its own farm code. At the end of 2017 Bord Bia launched the new egg standard ‘The Sustainable Egg Assurance Scheme’, a change from the old standard ‘The Egg Quality Assurance Scheme’. This updated standard is more focussed on sustainability and sets out the criteria for best practice in sustainable egg production with an emphasis on continual improvement over time. All to provide an on-going means of demonstrating best practice at all levels in the egg production process. As well as being Bord Bia approved we are also fully approved by BRC, with a most recent grade of AA for 2018. BRC is a standard used for brand and consumer protection based on the standardisation of quality, safety and operational criteria and ensures that manufacturers fulfil their legal obligations and provide protection for the end consumer. We are committed to the requirements of BRC and take pride in providing our customers with a quality honest product. Belview Eggs is Registered with the department and the packing centre code is IE 15 25. Unannounced inspections are carried out by the department at least annually. The department inspects the packing centre and producing farms to ensure all regulations are being met. Eggs are taken for Salmonella testing and residue testing. 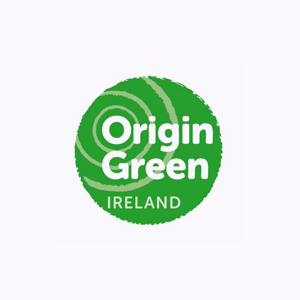 Since 2017 Belview Eggs Farm Ltd is an approved participating member of Origin Green, Irelands food and drink sustainability programme. As a proud member of Origin Green we have drafted our future targets for the coming years and will put in every effort to achieve them. Repak is a not-for-profit packaging recycling scheme funded by contributions from more than 2,000 participating member companies. Since 1997, Irish businesses have invested over €400 million through Repak in supporting packaging recycling in Ireland, and with our members, Repak has helped to grow packaging recycling and recovery from under 15% in 1997 to 90% in 2016. We’re home to one of the world’s largest collaborative platforms for sharing responsible sourcing data on supply chains, used by more than 50,000 members in over 150 countries. Tens of thousands of companies use Sedex to manage their performance around labour rights, health & safety, the environment and business ethics.